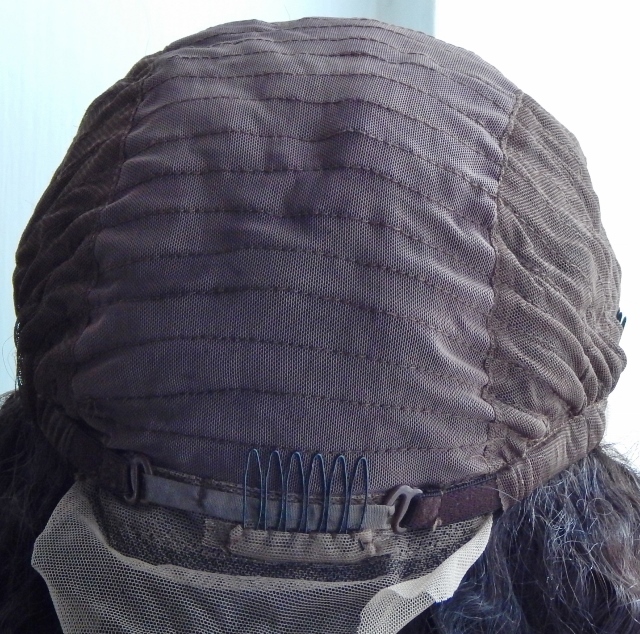 Cap Construction: medium brown lace, three inches deep across the front with wefts throughout – wefts are open (no solid integral cap – see images) wefts are attached to an open weft cap; three combs (sides and back); adjustable straps; can be worn without adhesive (or more frequently termed “glueless"); unbleached knots (this reduces shedding and can be covered using concealer or foundation), fine hairs (baby hairs) at the front. 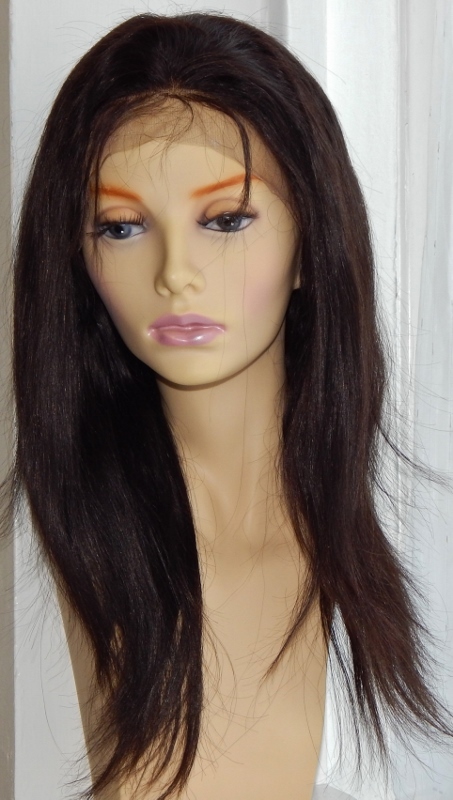 The Stella Silky-Straight look is another stylish and chic wig. As a straight texture it’s the most versatile so get your heat tools out to give a fuller wavy look - then just wash for the straight texture to return. The cap construction of these wigs means they’re adaptable. If you’ve got growth hair (full or partial) you can wear it and if you’ve lost all of your hair you can wear it – so a great choice all round. The dark colour, suits all skin tones. 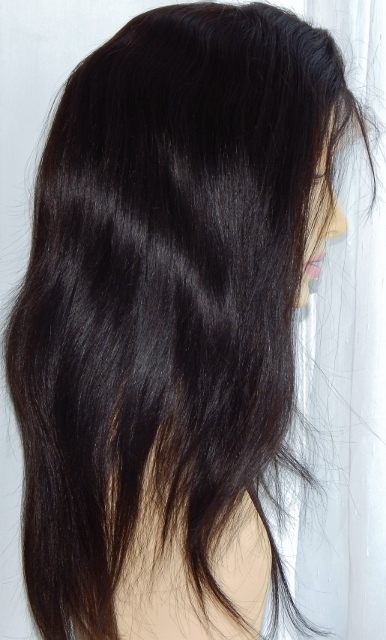 Lace at the Nape: This lace front wig comes with lace at the back so that it can be adhered to the nape of the neck with lace wig glue. However if you're aiming to wear this lace front human hair wig as a glueless lace front wig then simply cut the lace away and voila - you're glueless! 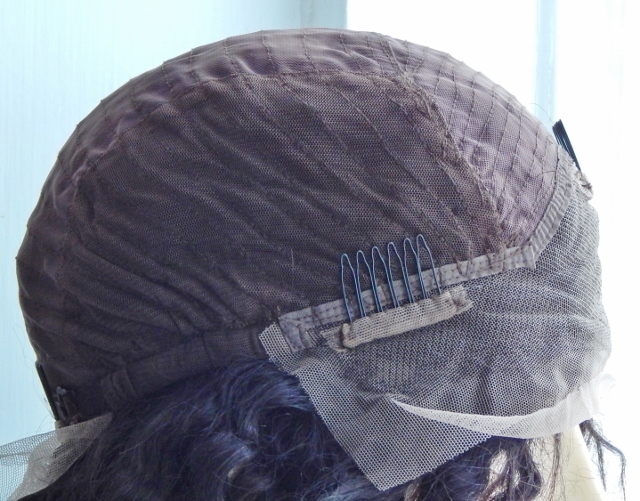 The combs enable the wig to be worn without the need for adhesives; these combs can be carefully removed or if you're like some of our customers, you may even add combs for extra snug security.